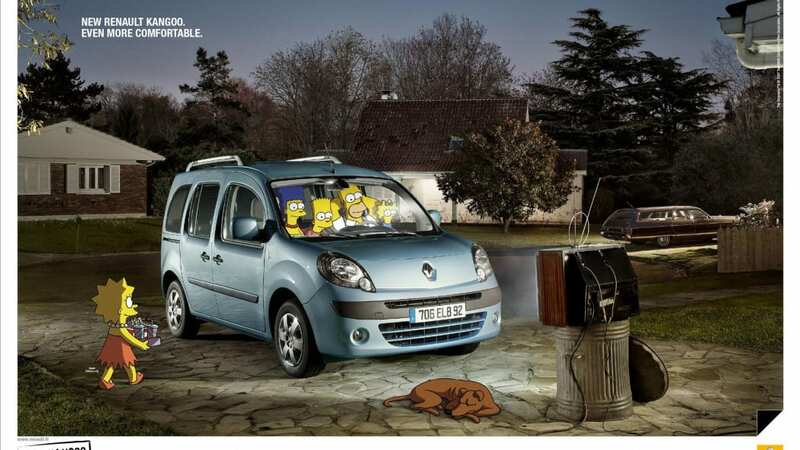 Starting this coming Saturday (Feb 9), Renault will kick off a new international ad campaign in which The Simpsons shill for the new Kangoo minivan. 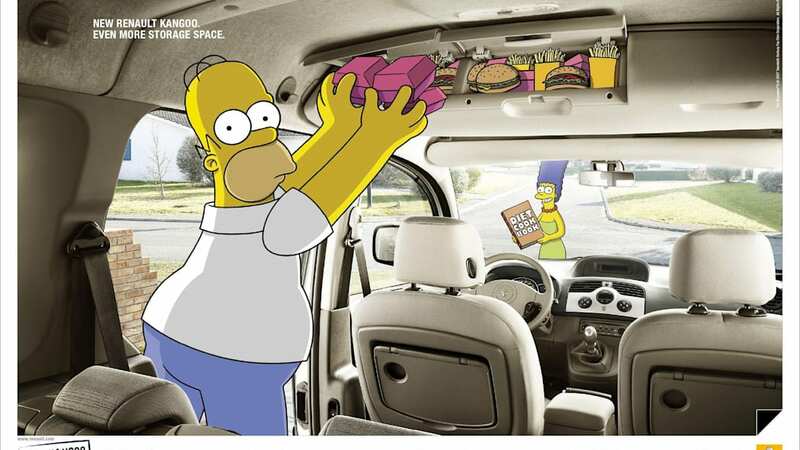 Three new print ads have been revealed, showing Homer & Co. making the most out of the vehicle's features. The fully-reclining seats are perfect for stealing the Christmas tree off the City Hall lawn; the seating arrangement is comfortable enough to replace the couch as the primary tv-watching location; and the overhead storage bins are ideal for hiding Homer's secret fast-food stash. 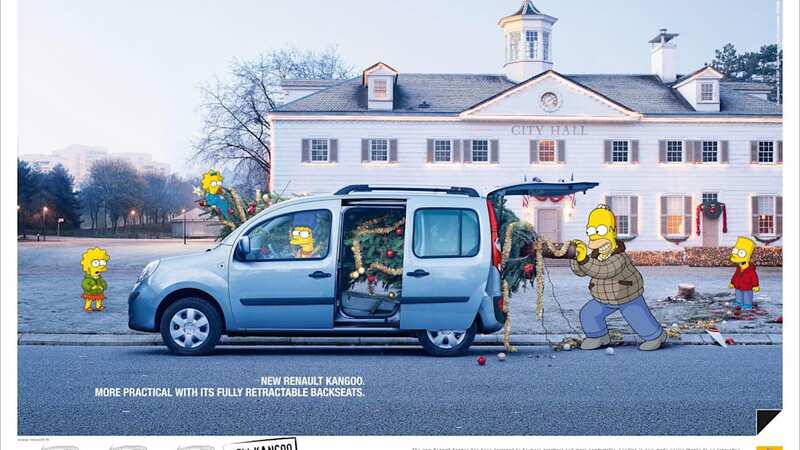 The Roger Rabbit-esque campaign puts the Simpsons in our world, instead of creating an animated Kangoo for them to drive. Since we're not a Renault market, we won't be seeing these ads in our next round of buff books. No matter. You can check them out in the gallery below.